In a statement, dripping with irony, Christine Porter, the professor behind this absurdity, was quoted in the Laramie Boomerang yesterday saying, “I also care about us not embarrassing ourselves across the nation,” and that the positive image of a cowboy “does not translate” outside of the Rocky Mountain West. Maybe this university professor is not familiar with the Marlboro Man, perhaps the most globally recognized brand in the history of marketing. Or maybe she missed that entire genre of movies that we call “Westerns,” that tell the stories of Americans settling the Mountain West. Glad we have such worldly and resilient profs up there at UW. Porter further reveals her twisted logic by proclaiming “For me, the clearest reason it’s unacceptable is the word ‘boy,’ excluding anyone who identifies as female.” Scary thing is that occupants of the ivory tower actually invest meaningful time and resources debating such strange nuance. But there is hope. Unlike some other schools, Wyoming has opted not to take the rankings of faculty with too much time on their hands seriously. The university’s communications department said that the marketing campaign will go on as planned. Looks like our neighbors to the north just barely dodged a bullet here (are we allowed to say that?). 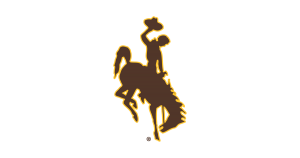 Maybe a few more student protests or acts of Twitter democracy would have thrown the University of Wyoming Cowboys onto the pile of schools shelving their so-called oppressive mascots.